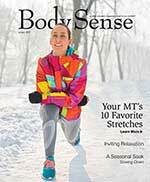 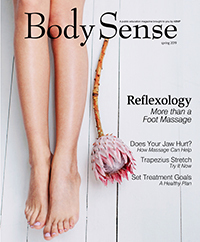 Welcome to Body Sense magazine, a special gift for my health-conscious clients. 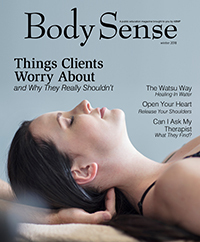 Body Sense magazine is designed to educate you on the lasting benefits of frequent massage and the value of good stress management. 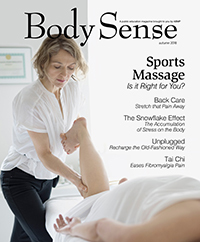 Body Sense blends features on a variety of massage therapy modalities with tips for healthy living. 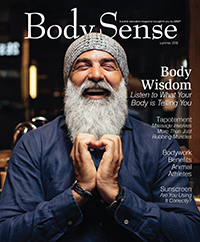 You will emerge with a better understanding of available options. 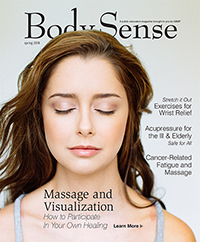 The Body Sense philosophy considers massage therapy an integral facet of a healthy lifestyle, not just an indulgence.